Is Your NJ Home in Foreclosure or Pre-Foreclosure? The real estate market today has certainly improved since the strong downturn in 2008, but it is still recovering. Many homeowners are still struggling to stay on top of their mortgages, even when they know that their home is no longer worth as much as they owe. Other “creative” mortgage devices, such as variable rate mortgages, can still cause problems for homeowners in a real estate downturn. When owners are considering ways to rid themselves of their upside-down home, a “short sale” may be an option. When a lender accepts a lower payoff amount than the full amount still owed on the home, then they are arranging a “short sale” with the homeowner. The new buyer often receives a better deal on the home while the seller can rid themselves of a home that does not make financial sense for them anymore. Homeowners can sometimes use a short sale to avoid foreclosure and bankruptcy. While a short sale may still harm their credit, it is often better than the alternative. Short sales are particularly useful when the homeowner has no other significant debt apart from their home. The lender must approve the short sale, and they will only approve them if you are in dire need. If it appears that you can afford to continue to make payments, a short sale likely will not be accepted. In a short sale, the seller cannot take any proceeds of the sale. The bank will cover the customary costs associated with selling a home, including taxes, title fees, attorney’s fees, and commission. Even when a bank accepts a deficiency (the amount between what the lender will take and the actual amount due), they often do not waive the collectability of the deficiency. That means that they can attempt to collect payment in full at some point down the road. However, this may not be the case for every lending situation or every short sale. Lenders often respond differently depending on the situation. In addition, lenders often have the option to assess tax liability on the portion of the loan that was forgiven, so that the portion they forgave is taxed as income. This taxation can be devastating for some homeowners. While every short sale is slightly different, they generally follow the same outline. The seller lists the property for sale. The seller will often work with a Realtor or other professional to create a fair and reasonable sale price. The seller meets with an attorney to get the negotiation process with the lender started. You will likely need to sign an agreement that allows your attorney to speak with your lender on your behalf. 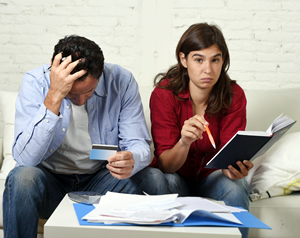 The seller gathers financial hardship information. The approval process involves a sign-off procedure that requires the lender or bank to assert that you have a financial hardship. Proving financial difficulties requires submitting significant financial information, including bank statements, tax returns, employment information, and asset statements. If you have significant liquid assets, then the bank or lender may ask that you use these funds to pay the deficiency between the sale and the amount owed. The Realtor provides relevant market history to the short sale attorney. This information allows the attorney to negotiate with the lender more efficiently. The homeowner receives and negotiates an offer with a potential buyer. The bank is not involved at this stage, but they will be involved after the buyer and seller decide on a fair price. Short sales are contingent on both the seller accepting and offer and the lender approving the transaction. All the sales contracts must have a provision that the purchase is contingent on lender approval. The transaction documents are submitted to the lender for approval. You or your attorney will need to provide the contract, proposed settlement agreement, and title report to the bank. Each short sale is assigned to a specific loss mitigation negotiator who will work with your attorney to hammer out the details of the deal. The bank completes its price opinion and provides approval or denial within 60 to 120 days. The bank will do its own independent research to ensure that the sale price of the home is reasonable. Specifically, a bank will use a local real estate agent’s opinion on the price. He or she will provide the bank with a Broker’s Price Opinion (BPO). The lender uses this information as its version of an appraisal. This process prevents sellers from getting rid of their homes for far less than the market value. Even with your best efforts, there is never a guarantee that a lender will approve a short sale. This risk increases if there are two or more loans on the home. Mechanic’s liens and outstanding homeowner’s association dues can also make the approval process a challenge. In addition, if there are federal tax liens on the home, many lenders will not approve a short sale.